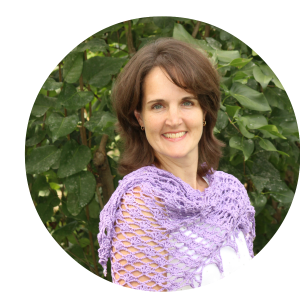 I love wearing and making shrugs – They are simple to crochet and stay put when you wear them! This is the Bridal Shrug that I found as a free pattern on the Lion Brand website. You can download it here. 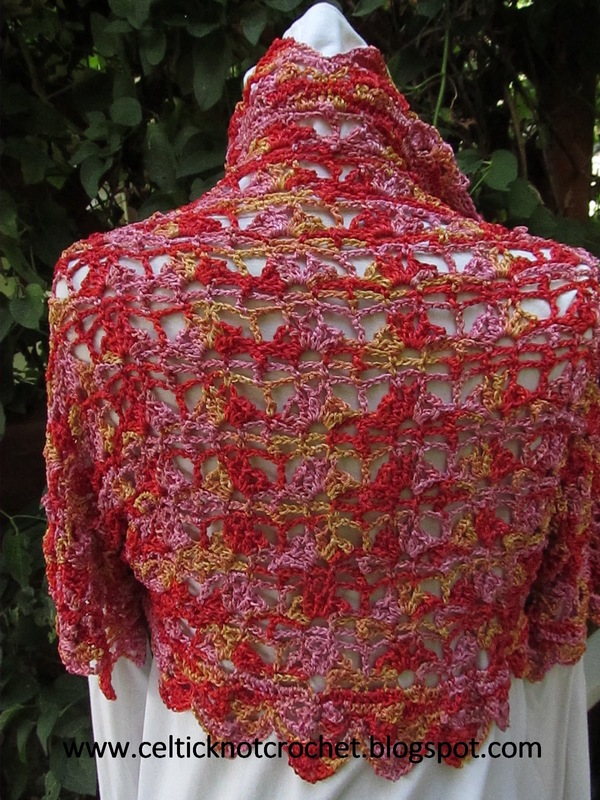 The pattern calls for Vanna’s Glamour Yarn (which is a beautiful yarn) but I was looking for a project to use some yarn that I had bought at last year’s CGOA conference. 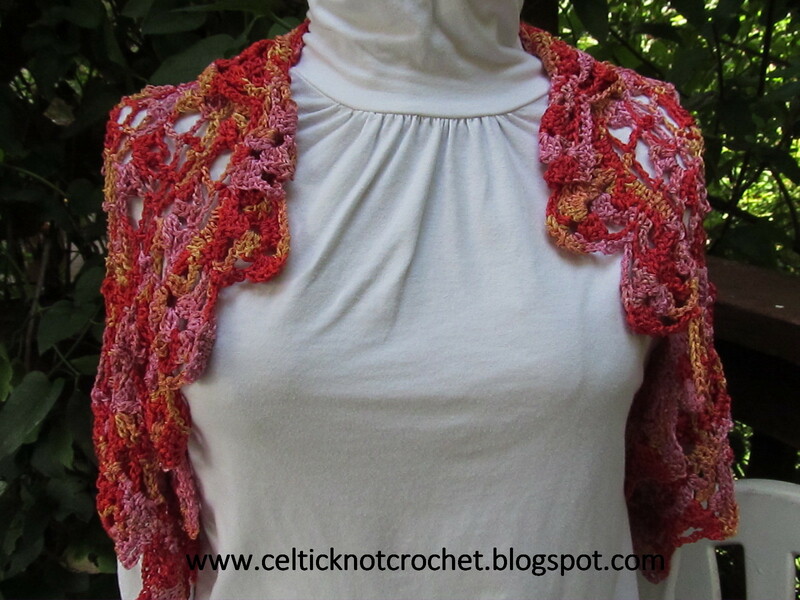 This shrug worked up very quickly and turned out great in the variegated yarn I used. 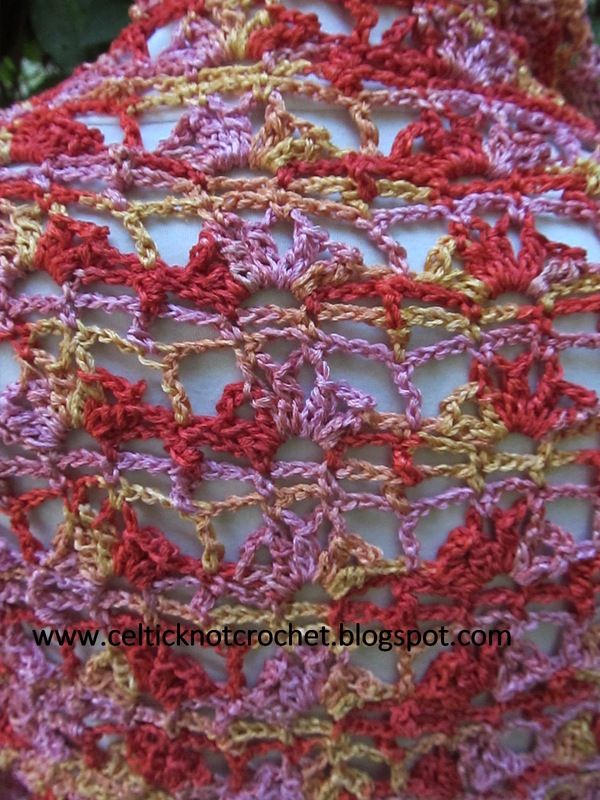 The shell pattern looks pretty on the back and I loved the shell edging all around. ← A Rock is Found! So lovelly Shrug or boléro , very nice croc het motif with such a beautifull choice of yarn. This is shrug is beautifull. Très joli!